Cybersecurity is a critical issue for modern industries, but some industries have different needs than others. This is due to factors that vary between industries like motivation, attack vectors, regulations and organizational structure. Learning about these differences may help organizations better understand which cybersecurity needs are appropriate for them. It could, for example, be rather pointless to apply the same requirements to two very different industries, such as finance and healthcare. According to a Verizon study, financial incentives motivated 76 percent of data breaches. This makes the motives behind much cyber crime in the finance industry clear. Indeed, Verizon’s study found 93 percent of finance and insurance industry breaches were financially motivated. By contrast, only 75 percent of healthcare breaches were financially motivated. While the same percent of breaches was attributable to espionage in both industries, fun and convenience caused a significantly larger percent of breaches in the healthcare industry. A surprising number of the data breaches in healthcare result from employees interested in information about personal acquaintances or celebrities. It is, perhaps, for this reason that Verizon’s study found that healthcare is the only industry where more cybercrime originates from within organizations than outside of them. Verizon’s study found that the most frequent cybercrimes were hacking (including denial of service attacks and stolen credentials), malware and social data breaches. But just because a type of attack happens more often doesn’t necessarily mean it costs more. A study that represented a collaboration between the Ponemon Institute and Accenture found that the cybercrime vectors with the greatest overall cost were malware, web-based attacks, denial of service attacks and malicious insiders. Verizon’s report cited denial of service attacks, one of the more expensive cyber crime vectors, as a particular concern for the financial industry. As this does not seem to have been among top threats for other industries, this means it’s likely these attacks target finance more than other industries. 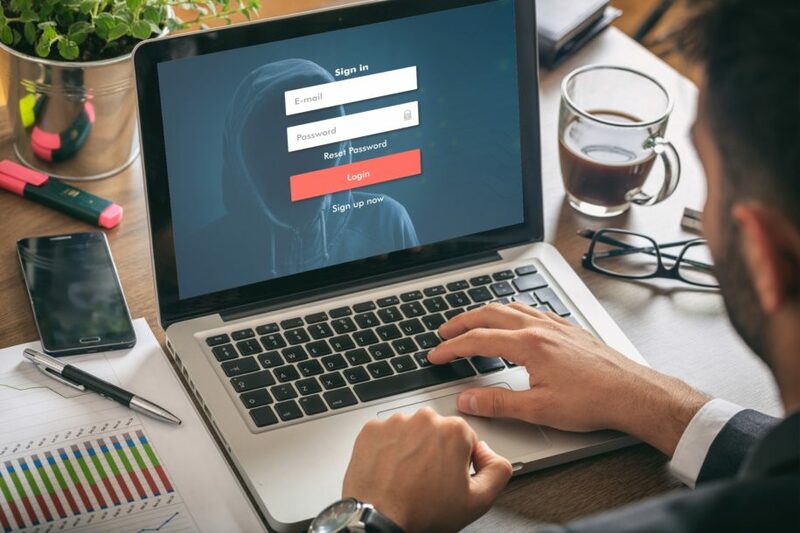 As for the healthcare industry, according to HIPPAA Journal’s January 2019 Healthcare Data Breach Report, phishing, which falls into the “social” category in Verizon’s study, caused 51.52 percent of healthcare data breaches. This represents a high rate of such attacks on the healthcare industry, but the financial industry is far from immune. One such phishing attack is addressed in Impulse’s “Banks of All Sizes Should Prepare for Cyber Attacks” article. Healthcare also has vectors other industries don’t due to monitoring equipment. As more of this equipment becomes part of the Internet of Things (IoT), even these devices become possible vectors for cyber crime. To learn more, read Impulse’s “How to Decide Which IoT Devices to Allow” article. While there are differences in common attack vectors between industries, many industries, including finance and healthcare, are subject to cybersecurity regulations. Some of these regulations are more general and apply to multiple industries. One example is the NIST Cybersecurity Framework, which provides cybersecurity best practices for sectors of critical US national infrastructure, including healthcare and finance. Finance has regulations imposed on it by various entities at national and local levels while healthcare has regulations like the Healthcare Information Portability and Accountability Act (HIPPAA), which protects patients’ personal health information. Differences in regulations between industries and how strictly they’re enforced can account for how seriously an industry as a whole takes cybersecurity seriously due to fines and other consequences for not adhering to regulations. Some industries, like healthcare and finance, are more centralized than others, but attacks can still vary due to the structure common among organizations within industries. One such consideration is the size of most organizations within an industry. For example, the Ponemon Institute and Accenture’s study found that small organizations incur more costs due to malware, web-based attacks, and phishing and social engineering attacks while larger organizations incur more costs due to denial of service attacks, malicious insiders and malicious code. It might, therefore, be assumed that in industries where larger organizations conjugate, the threats common among larger businesses will be more common and vice versa. The aforementioned differences in cyber crime between industries leads to differences in cyber crime’s end results. Perhaps the most prominent example of this is how much the overall cost of cyber crime varies by industry. The Ponemon Institute and Accenture’s study found that financial services lost $18.28 million to cyber crime, more money than any other industry. Healthcare came in fourth at $12.42 million. Given that the financial industry, by its nature, deals with money, it’s easy to see why cyber attacks targeting the financial industry would be more expensive than the healthcare industry. Yet, while attacks to the healthcare industry might not be as expensive as attacks in the finance industry, Verizon’s study found that 24 percent of breaches involved the healthcare industry, suggesting that though breaches in this industry may be less expensive, they may well be more common. This demonstrates that the monetary results of cybercrime can differ greatly between industries. While some elements of cyber crime can vary between industries, the need to keep your organization’s network secure from cyber criminals does not. Whether your industry is education, finance, healthcare, local government or another industry entirely, Impulse’s SafeConnect and software defined perimeter (SDP) solutions help maintain network security. SafeConnect is a Network Access Control (NAC) solution that blocks people who shouldn’t be on your network while keeping network access simple for those who should. Meanwhile, SDP works to maintain a secure network for employees accessing company data beyond the office itself. To learn more, visit Impulse’s “Industries” pages, including the “Finance” and “Healthcare” pages, or request a demo.